Comprehensive and self contained, this tutorial covers the design of a plethora of combinational and sequential logic circuits using conventional logic design and Verilog HDL. Number systems and number representations are presented along with various binary codes. Several advanced topics are covered, including functional decomposition and iterative networks. A variety of examples are provided for combinational and sequential logic, computer arithmetic, and advanced topics such as Hamming code error correction. 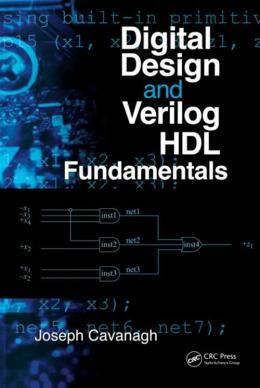 Constructs supported by Verilog are described in detail. All designs are continued to completion. Each chapter includes numerous design issues of varying complexity to be resolved by the reader.